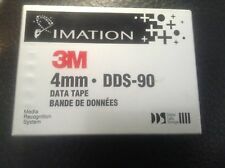 3M original 4mm DDS-90 It is factory sealed. 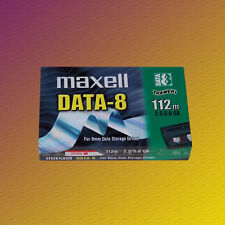 HP 92283B DDS-1 Data Tape/Cartridge 2GB (bef. compression) 90m - NEW SEALED. Dispatched with Royal Mail 2nd Class Large Letter. TDK DC4-90. 4mm DDS DAT DC4-90R. New Sealed. Useful information. Price information. In the unlikely event there is a problem with your item we are always happy to investigate and resolve issues. Bankers Draft. Credit or Debit Cards. Lot De 5 CARTOUCHES DE DONNEES LTO-2 SONY LTX200G 200/400Go NEUVES SOUS BLISTER. 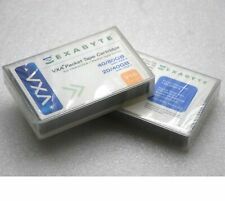 NOUVEAU Exabyte 40 / 80 Go VXA-2, 20 / 40 GB VXA-1 bande d’installation. Marke Exabyte. Afin autant que vous avez besoin! Disque dur IDE (PATA) pour ordinateur portable - testé, travail. Box is ripped and tatty but content is in excellent shape, factory sealed. 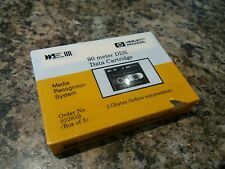 Cassette 90m HP DDS-1 2GB (4 GB compressée). Imation 1 4mm 20 40 Go support de bande DDS-4 40963. Storage Capacity 40 GB. Imation 2.5 GB (NATIVE) QIC 2000 C RUBAN DC9250. SLR4-5GB, QIC-2GBc, SLR4. Pour SLR4 Série Drives. Imation P / N: 51111 46168. Model Magnus 2.5. N'OUBLIEZ PAS D'OFFRIR MAINTENANT ET NE MANQUEZ PAS ! Imation 2.5 GB (NATIVE) QIC 2000 C RUBAN DC9250. SLR4-5GB, QIC-2GBc, SLR4. Pour SLR4 Série Drives. Imation P / N: 51111 46168. Fonctionne avec la plupart des la QIC SLR Lecteurs. Sony, Tandberg, Seagate, Dell, IBM, ADIC, Procom, Numérique, HP, Compaq, Imation, Fujufilm, 3m, Maxell, Verbatim, Quantum. Storage Capacity 40gb. Storage Capacity DAT. Désignation: P5200W. Fabricant: Plasmon. Marke Plasmon. Type: MO WORM. Format WORM. Vous recevrez une facture avec TVA 19%. Compte affecté avec des TVA est évident pour nous. About the item: This item is associated with the following MPN(s): 331910. WE WILL BE HAPPY TO WORK OUT ANY PROBLEMS/ISSUES RELATING TO YOUR ORDER.